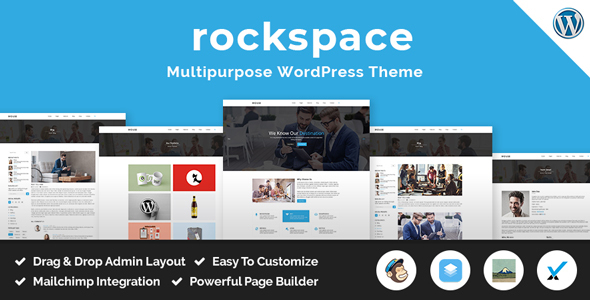 Rockspace â€“ Multipurpose WordPress ThemeÂ is a responsive, clean and modern designed Corporate business WordPress theme, it is Perfect for corporate, financial, professional, portfolio agency or other business with comprehensive and focused content that usually displayed in any Multipupose Business web applications. It can be customized easily to suit your wishes. Rockspace is fully responsive theme compatible to all devices. We used contact form 7 for better user interface and experience there are many features available in the theme to explore all the features please check the demo.